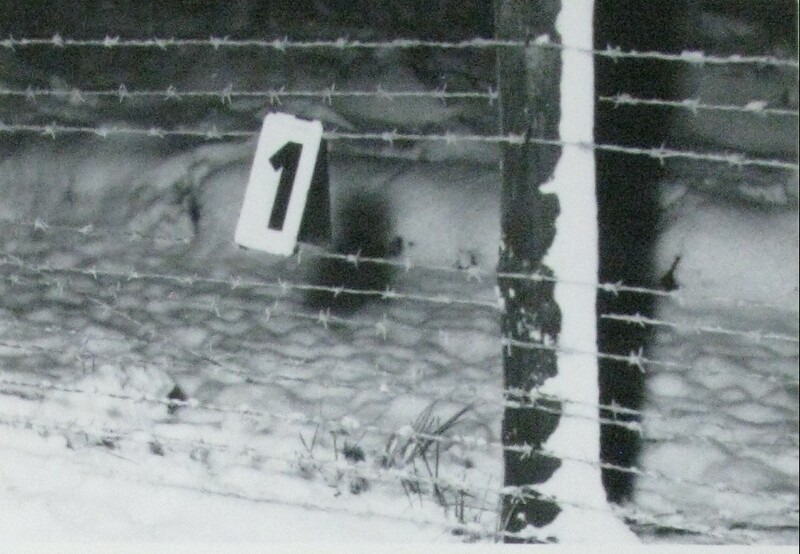 Two days before Christmas Eve, near Nový Žár in the Cheb District, 18-year-old Břetislav Funiok attempted to cross the border into West Germany. When trying to overcome the high-voltage wire fence he was hit by an electric shock and died from his wounds later that day. Despite this, state officials began prosecuting him for the criminal offence of leaving the Republic, abandoning legal action only after two weeks for reason of his death. The 18-year-old electrician from the Frýdek-Místek area arrived at the state border on foot from Aš, having first set out along the railway leading to Cheb. 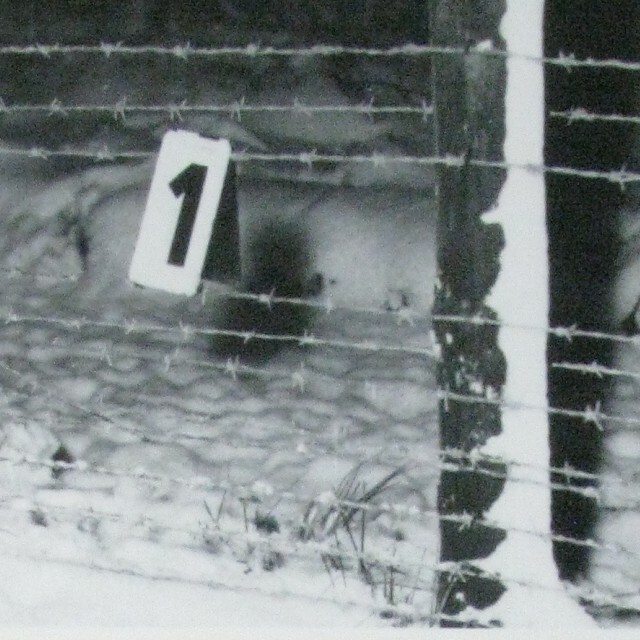 According to contemporary documents “after coming to the signal device [border] he crawled through, causing a short circuit, and carried on to the wire fence. He attempted to cross this by climbing through, during which his head touched a live conductor and the shock caused him to fall unconscious.” The short circuit on the signal barrier alerted a border patrol; upon arriving they found the injured man just barely alive. After a failed attempt at resuscitation he was taken to the hospital in Aš, where the only thing left to do was an autopsy. It might seem paradoxical that he was prosecuted despite already being dead, but that was standard practice in those days. 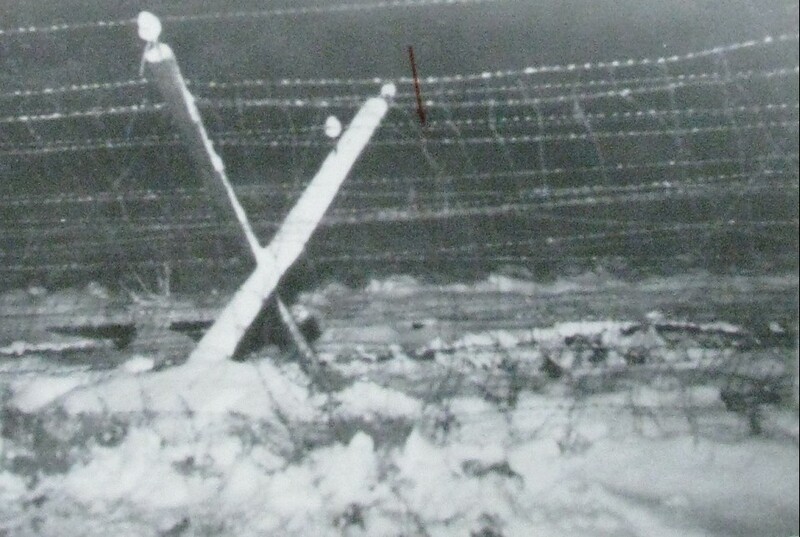 A barbed wire fence built several hundred meters to several kilometers away from the border, approximately three hundred metres high; its function was to stop or slow down persons attempting to cross the state borders. 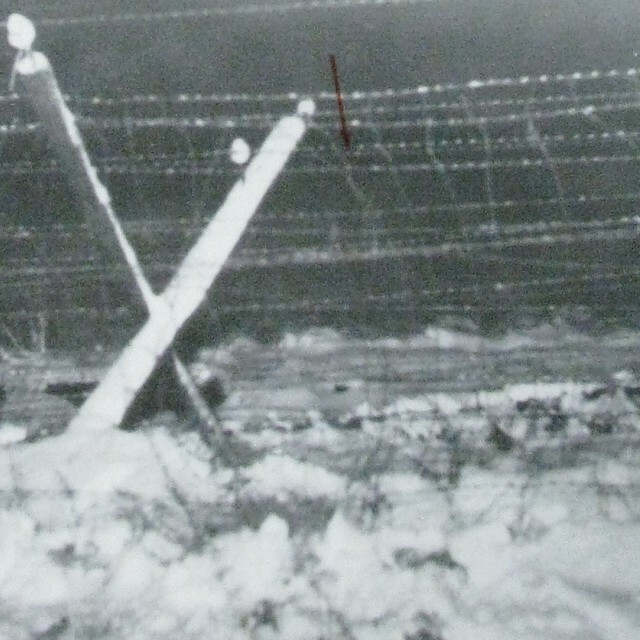 Each of the barbed wires were at the same time live with a weak current, and if cut, grounded or touched together, they sent a signal, a so-called short circuit, to the patrol or border guard company, thus informing them of an attempt to overcome the barrier. The Nový Žďár settlement (originally Neuenbrand in German) was a self-reliant and prosperous village after World War II. However, today it is an ever-more desolated part of Aš, approx. 2.5 km to the southeast of its center. It is located at the beginning of the bypass, next to the road leading from Aš to Cheb. A local attraction are the historical border stones bearing old coats of arms, to be found on a trail marked with red trail marks. The buildings of the former Aš nursing home and children’s sanatorium serving as barracks of the border guard with a dog-breeding station after 1951. The local company belonged to the 5th border-guard brigade based in Cheb.